Like us, you're probably dying to try AquAdvantage® salmon, right? 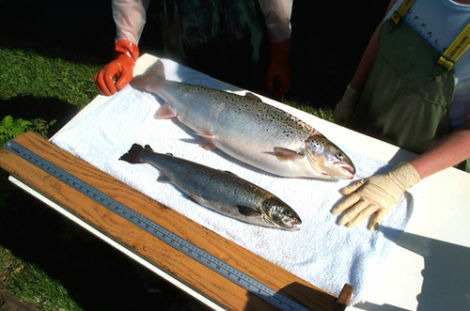 Well, the FDA won't make its producers label the fish as genetically modified! Good, because according to a guy from the Biotechnology Industry Organization, "Extra labeling only confuses the consumer."